Diversity encompassess many things – gender, age, culture, religious and political beliefs, nationality, language, academic background, heritage, and more. In the space industry it takes all kinds of people to make space exploration and the use of space possible. 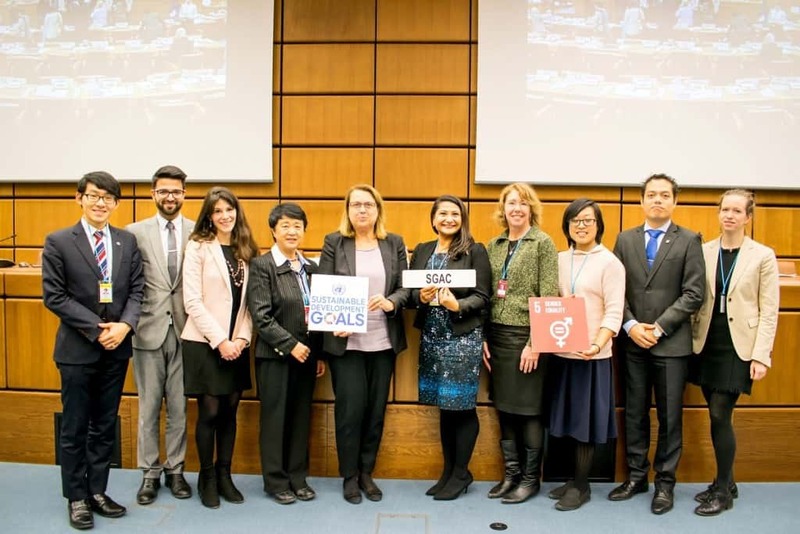 The International Astronautical Federation (IAF) has developed an initiative called the IAF International Platform for Diversity and Equality in Astronautics (IDEA) fostering the principles of 3G – Geography, Generation, Gender. In 2018, the Space Generation Advisory Council is the recipient of the IAF Excellence in 3G Diversity Award because the organization upholds the 3Gs – Geography, Generation and Gender through its members, alumni, activities and leadership positions. What Does Diversity Mean to SGAC? At SGAC we value and actively promote diversity through events, scholarships, leadership positions and more. The Space Generation Advisory Council regional and local events are an important aspect of the SGAC event series because they promote capacity building and knowledge sharing at the national and regional levels. Here SGAC members can connect with experts from the space industry and discuss topics relevant to the local space agencies, companies and institutions. 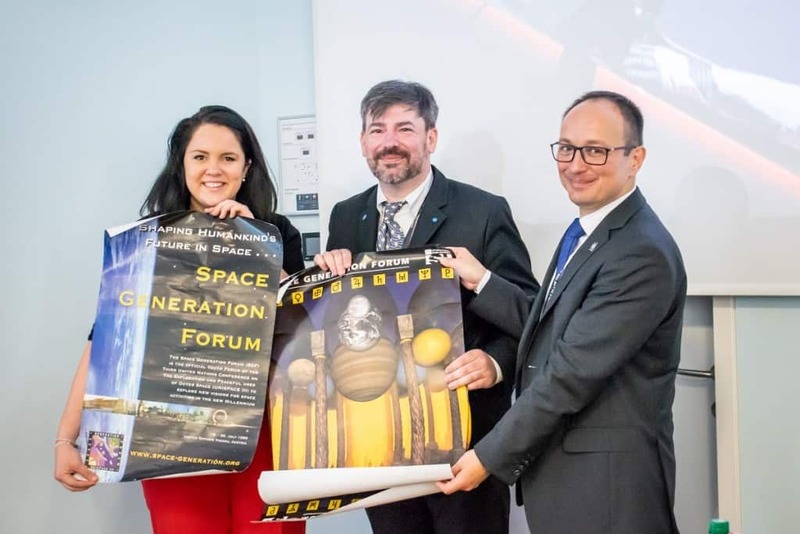 These events create outcomes that have a direct connection to the local community and allow SGAC members to really take action in their regions and in their countries; especially regarding space policy, innovation and the future. To keep these events as diverse as possible, local and regional events are open to SGAC members worldwide and scholarship opportunities are available based on need. Each region including Africa, Asia-Pacific, Central America and Caribbean, Europe, Middle East, North America, and South America is represented yearly through the Space Generation Workshop (SGW) series. For local events, SGAC has created the SG[ ] series where members can come together at the local level and work on country-specific issues relating to the space industry. What truly makes these events diverse and unique is that each local event is run by a different organising team and the events can be created by the Regional Coordinators, National Points of Contact or even local members. For the SGW series each year they are located in a different city/country within the region so as to create diversity from year to year and in order to bring a fresh perspective to the regional level. The Space Generation Advisory Council supports various global and regional scholarships to attend SGAC events around the world as well as to attend the International Astronautical Congress (IAC) on a yearly basis. SGAC Scholarships are awarded to members of different regions and are diverse on many levels such as nationality, academic background, gender and age. One specific scholarship, the Young ESA Diversity Scholarship, works with SGAC to showcase diversity by awarding SGAC members even if they are not from Europe. Check out our Scholarship page! SGAC is a Permanent Observer at the Committee for the Peaceful Uses of Outer Space (COPUOS) and is a member of the United Nations Economic and Social Council (ECOSOC). At the United Nations SGAC is always represented by a diverse set of members with various nationalities, academic backgrounds and ages. Additionally, SGAC members also represent various Member States which shows generation diversity amongst nationalities. The Space Generation Advisory Council Alumni Programme links alumni together and links alumni with SGAC members. A new initiative spinning off from the Space Generation Forum 2.0 is the SGAC Mentorship Programme. This programme aims to connect members with alumni and experts to bridge the gap between generations and to share knowledge. At SGAC events such as SGx and at events where SGAC is a partner such as SpaceOps and IAC, members can also gain inter-generational knowledge from speed-mentoring sessions. Check out our Alumni Programme!